Flicker Alley would like to take this opportunity to highlight one of the archival elements included in our bonus feature image gallery of The Lost World Deluxe Blu-ray edition. 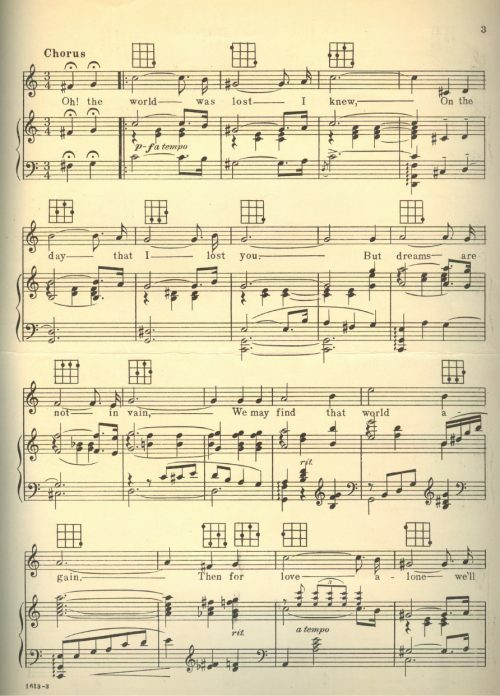 Thanks to the generous contribution by our friend and colleague Nigel Dreiner, Flicker Alley was able to share the original sheet music that once accompanied The Lost World. Lyrics by Harry B. Smith and composition by Rudolf Friml, we can gain insight into The Lost World’s original sound. At first, musical soundtracks were just methods to induce stage melodrama and cover the noise of the film projector. Music enhanced the stories and helped audiences embrace the new medium. In the early days, phonographs, and then eventually live pianos, accompanied screenings. Accompanists often had to improvise; the most sophisticated of screenings had timed sheets for the pianists that cued the music to actions onscreen. Around 1908, US films began to standardize film accompaniment. Theater owners became more critical of which musicians they chose to hire and audiences came to expect music with their screenings. By the 1920s, the theatrical organ was developed for film, (the instrument Rudolf Friml employed for The Lost World). 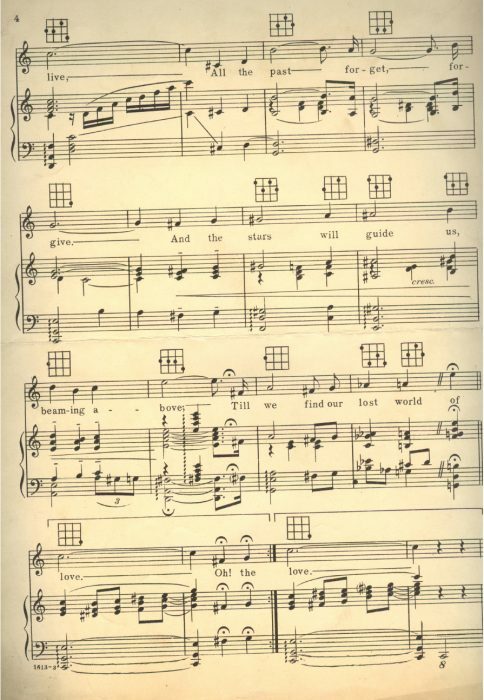 Silent film accompanists began to accentuate leitmotifs, a way to identify stories and characters through a melody, (a method we still use today, i.e-the Imperial March for Darth Vader, Main Theme from Jaws for the Shark, etc). By this point in time, filmmakers began to choose composers for their stories. Consequently, pianists, such as Rudolf Friml, were able to make a living composing soundtracks for film. 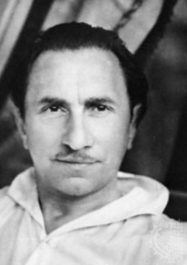 Rudolf Friml was born in Prague, Czech Republic, and moved to the US to become a famous composer and pianist. 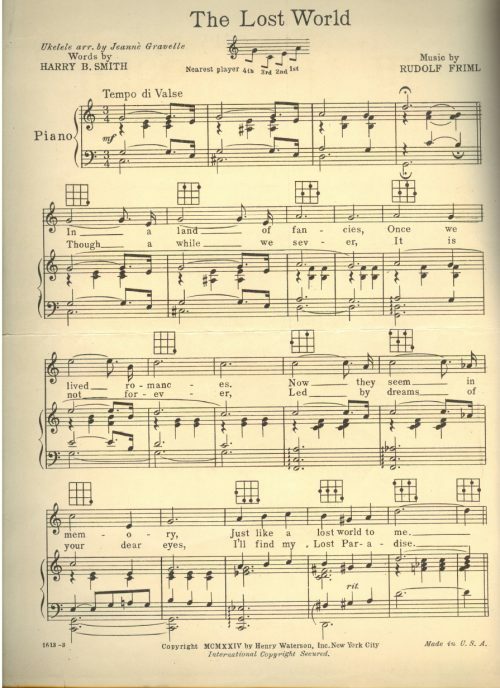 He was often criticized for the “old-fashioned, Old World sentiments” in his songs, (which presumably emphasized the ‘old’ atmosphere in The Lost World). His most famous works were Rose-Marie (where he worked with Oscar Hammerstien) and The Vagabond King; both were performed on Broadway and eventually adapted for film. He wrote a few famous operas in the 1920s and composed for multiple films in the 1930s. Friml passed away in 1972. 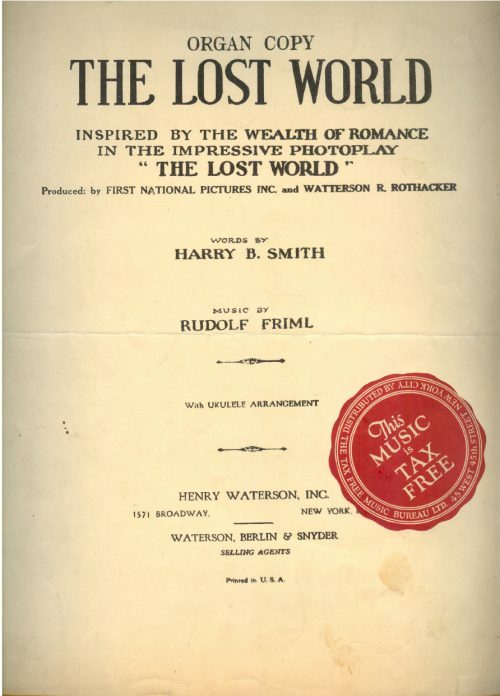 The lyrics for The Lost World were written by Harry B. Smith, a prolific American Stage writer. Moving from Chicago to New York, he worked on Broadway and wrote stage scores for a number of shows, including the Ziegfeld Follies. 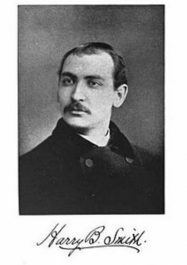 From 1914-1917, he worked as the director of ASCAP (American Society of Composers, Authors, and Publishers). His more famous hits include The Sheik of Araby (covered by The Beatles) and ‘The Land of Let’s Pretend (covered by Judy Garland’s Gumm Sisters). Thanks again to Nigel Dreiner for his time and research on the soundtrack for the Lost World. Order The Lost World Blu-ray edition here at Flicker Alley!